Can you feel the tremors? Verizon's hotly anticipated Motorola Droid finally arrives on Friday, and -- if the earth-rumbling ads are to be believed -- we'll be feeling its force all over the world. All right, so the ads may be a bit exaggerated. Let's face it, though: This phone is stirring up quite the geek-friendly frenzy. Whether you think it'll be a mere blip on the radar or you believe it'll send the iPhone scrambling to a secure bunker, the Droid has definitely become difficult to ignore. Here's a quick and easy guide to everything you need to know about Verizon's Droid and its November 6 launch. 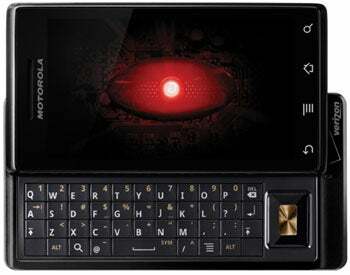 • Verizon's Motorola Droid is 4.56 by 2.36 inches and weighs just under 6 ounces. • The phone features 3.7-inch, 854-by-480 pixel touchscreen display. 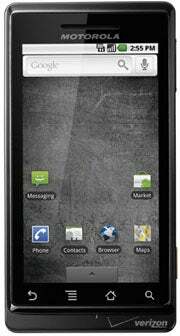 • It has a slide-out QWERTY keyboard and a 5-megapixel camera with DVD-quality video recording. 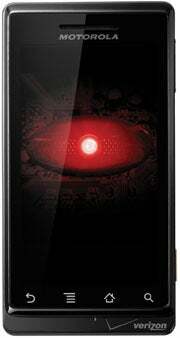 • The Droid utilizes an Arm Cortex 550mHz A8 processor with 256MB of built-in memory. It has a 16GB microSD card and can be expanded to 32GB. • Running the Android 2.0 operating system, the Droid is capable of multitasking and features unique options such as integrated turn-by-turn GPS navigation. • The Droid connects to Google's Android Market, which features roughly 10,000 downloadable apps. • The Droid costs $199.99 when bought with a new two-year contract. In most instances, however, you'll end up paying $299.99 up-front, then getting $100 back via a mail-in rebate. • If you buy your Droid at Best Buy, you can avoid paying the extra $100 from the mail-in rebate. Best Buy will automatically credit the rebate at the time of your purchase, meaning you'll pay only $199.99 that day. 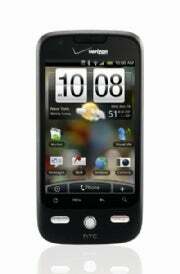 • The Droid requires a Verizon voice plan, which runs a minimum of $39.99 for 450 minutes. It also requires an unlimited data plan, which runs an additional $29.99. Text messaging is not included and costs extra to add on. • Over two years' time, you'd end up paying essentially the same amount with either an iPhone 3GS or a Verizon Droid. A Palm Pre would end up costing you a good bit less. • Despite some initial confusion, you will not have to pay extra simply to utilize the Droid's Microsoft Exchange ActiveSync feature. There is a $15 surcharge only if you have a multiple-line business account. • Verizon Wireless will open many of its retail stores early Friday morning to accommodate the Droid launch. Some locations will open at 7 or 8 a.m. The flagship Verizon store on 34th Street in New York City will open from midnight to 2 a.m. for an early round of Droid sales. Be sure to call your specific store to check on its hours, as opening times vary from place to place. • PC World: "The first Android 2.0 phone impresses with a strong suite of Web features and a stunning 3.7-inch display, but some users might have trouble with the shallow keyboard." • The New York Times (David Pogue): "The Droid wins on phone network, customizability, GPS navigation, speaker, physical keyboard, removable battery and openness (free operating system, mostly uncensored app store)." • The Wall Street Journal (Walt Mossberg): "It's the best super-smart phone Verizon offers, the best Motorola phone I've tested and the best hardware so far to run Android. I can recommend the Droid to Verizon loyalists who have lusted for a better smart phone, but don't want to switch networks." • Time: "The Droid is without a doubt the best Android device currently available; it's also the best phone Verizon has to offer and it doesn't hurt that Verizon is the best network. ... [It] comes in a close second to the iPhone in terms of a seamless user experience." • Gizmodo: "If you don't buy an iPhone, buy a Droid. It's the best phone on Verizon, and with Android 2.0, the second best smartphone you can buy, period. It's flawed, deeply in some ways. But it's the second best phone around, on the best network around." • Engadget: "It's hard not to recommend the Droid to potential buyers eager to do more with their devices. It's easily the best Android phone to date, and when you couple the revamped OS, Verizon's killer network, and an industrial design straight from a gadget enthusiast's fever-dream, it makes for a powerful concoction." • Boy Genius Report: "We absolutely love the Motorola Droid. It's a perfect storm between awesome hardware, great software, and a great network." • SlashGear: "The Verizon Droid by Motorola sets the bar for all new Android devices and is arguably the best Android device to date. ... While the Droid lacks the Apple handset's finesse and polish, it's only a few steps behind." If you like the idea of the Verizon Droid but are looking for something slightly different (or are looking to spend a little less dough), Verizon has also announced a second Droid phone: the HTC Droid Eris. Check out this side-by-side comparison for an in-depth look at how the two phones stack up. You can also click over to "Verizon's Droid Phone and the Android Army" for a full rundown of other Android devices recently debuted and on the horizon. Android not your thing? No problem -- there are plenty of other options out there. PC World's Ginny Mies compiled a list of the Top 10 Cell Phones as of this fall, and there's something in there for everyone. Heck, there's even the iPhone -- assuming, of course, that Apple lets it out of that top-secret bunker by the weekend. JR Raphael writes geek humor at eSarcasm, where two scoops of satire come free with every meal. You can keep up with him on Twitter: @jr_raphael.